I'm having a raspberry moment. A little over a week ago I posted the most chocolaty-raspberried cake, ever. We ate every last smidgen, but that still didn't cure my craving. I decided to make a second and completely different kind of raspberry cake. These fluffy yellow cake layers are marbled with rose water batter. There's just a whisper of rose fragrance added- it's nearly undetectable, but it enhances the raspberry elements of the cake like nothing else can. If you've ever stewed raspberries on the stove top, then maybe you've noticed their pretty floral aroma. The rose water just makes the berries taste more... raspberry! The bright red filling is absolutely bursting with sweetness and berry flavor. 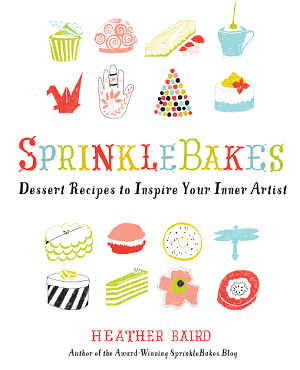 It may be my new favorite cake filling (sorry lemon curd!). I used two tablespoons of the filling in the buttercream and it presented the most beautiful pink color. 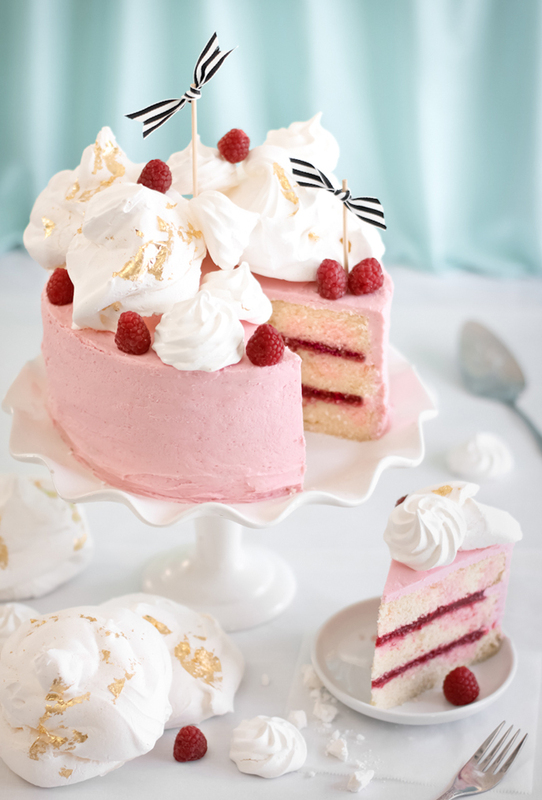 It also adds a berry note that ties the entire cake together. The meringues! I'd planned for these gentle giants to have a blog post of their own, but they just begged to be arranged on top of this cake. They are so delicious. The inside is soft and marshmallowy and the outside is crisp and cookie-like. I decided to add a little sparkle with some gold leaf I've been saving for something special. And altogether, I think this cake deserves that description. Grease and flour three 9-inch round cake pans. Preheat the oven to 350°F. In a bowl, cream the butter, shortening and sugar until fluffy. Add the eggs one at a time, mix well with each addition. Combine the flour, baking powder, baking soda and salt. Add the flour mixture to the creamed mixture alternately with milk, beginning and ending with flour. Beat well after each addition. Add the vanilla extract; mix until well combined. Place two cups of batter into each pan. Add the 1/4 teaspoon rose water to the remaining batter in the mixing bowl; add the two drops of liquid pink food color and mix well. Drop spoonsful the pink batter on top of the white batter in each pan. Spread the batter evenly into the pans then run a knife or skewer through the batter to marble it (try to avoid scraping the bottom of the pan with the knife, this will remove the pan’s floured coating). Bake for 25 to 30 minutes or until a toothpick tester comes out clean. Cool for 10 minutes before removing the cakes from the pans. Transfer to wire racks to cool completely. Level the cakes with a serrated knife or cake leveler. Note: The floured surface of the coated baking pan usually contributes to an orangey-brown cake crust. I usually trim this away from the bottom and sides of the cake, and I did this to this cake. It’s an extra step but the cake will be softer and more delicate. In a small saucepan, bring the raspberries and water to a boil. Reduce heat. Simmer for 5 minutes. Remove from heat. Press raspberries through a sieve; discard seeds and allow the mixture to cool. In the same pan, combine the sugar and cornstarch; stir in the cooled raspberry puree and whisk until smooth. Bring the mixture to a boil and cook for 2 minutes or until thickened. Transfer the mixture to a separate bowl and let cool completely. Combine the butter and sugar in a large mixing bowl and beat until just combined. Add the vanilla extract and raspberry filling. Beat again until incorporated. Add milk or cream a little at a time until the mixture is spreading consistency. Transfer 2/3 cup of the frosting to a piping bag with a plain tip (or with the end snipped to about 1/2 inch diameter). 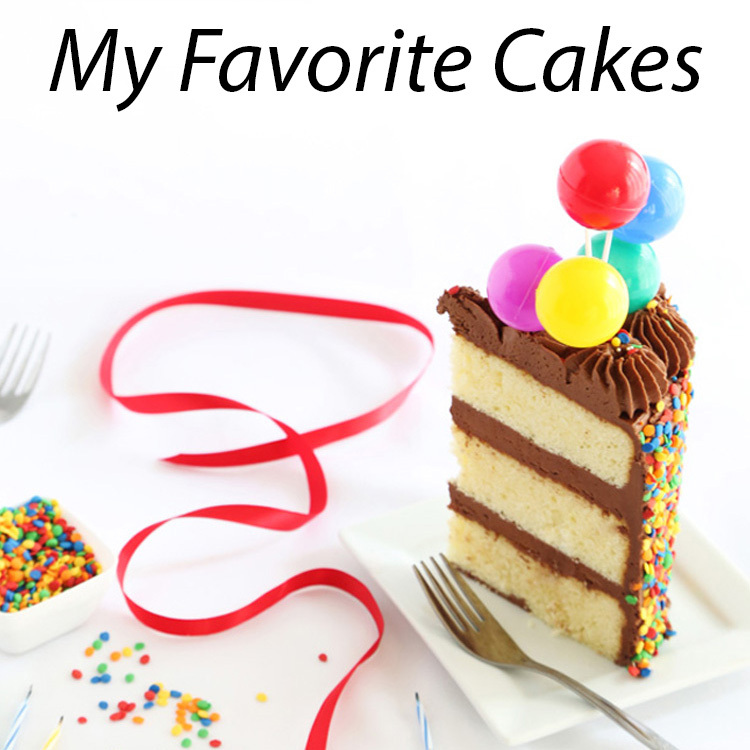 Place a cake layer on a cake stand or serving plate. Pipe a circle of frosting around the top edge of the cake layer; fill with raspberry filling (this should be about 1/2 cup plus 2 tablespoons filling per cake layer). Stack a second cake layer on top and pipe and fill as before. Finish with the third cake layer on top. Use an off-set spatula to spread the frosting on the top and sides of the cake. 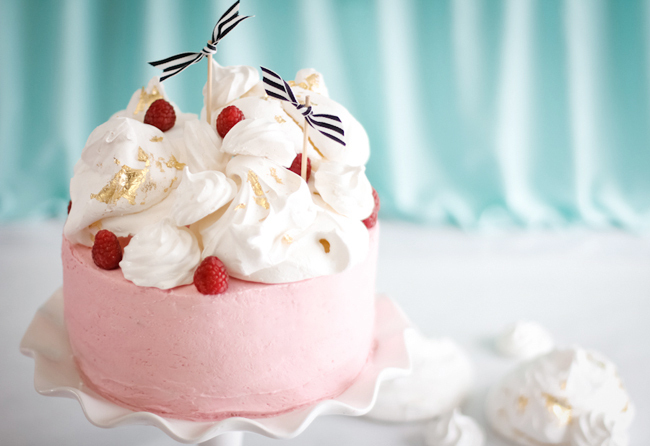 Top the cake with assorted meringues and fresh raspberries. Preheat the oven to 170F. In a medium bowl, combine the two sugars. Line two cookie sheets with parchment paper. Place the egg whites in a clean mixing bowl and whip them with an electric mixer on high speed until frothy. Add the cream of tartar. Beat again on high speed until the egg whites start to thicken. Gradually add the sugar mixture a little at a time. Beat until the mixture is shiny and holds stiff peaks, about 5 to 7 minutes. To make sure the sugar is dissolved, rub a little between your thumb and forefinger to see if granules remain. If grainy, beat the meringue until the sugar is dissolved. Spoon the meringue in 10 large heaps on the cookie sheets, or transfer the meringue to a piping bag fitted with a star tip and pipe swirls onto the cookie sheets. (I did both). Place the cookie sheets, staggered, on the top and bottom oven rack. Bake for 2 hours, rotating the pans halfway through baking. Turn off the oven and let the meringues cool down with the oven, about 1 hour. When the oven is cool, remove the meringues. They should lift easily from the parchment paper. 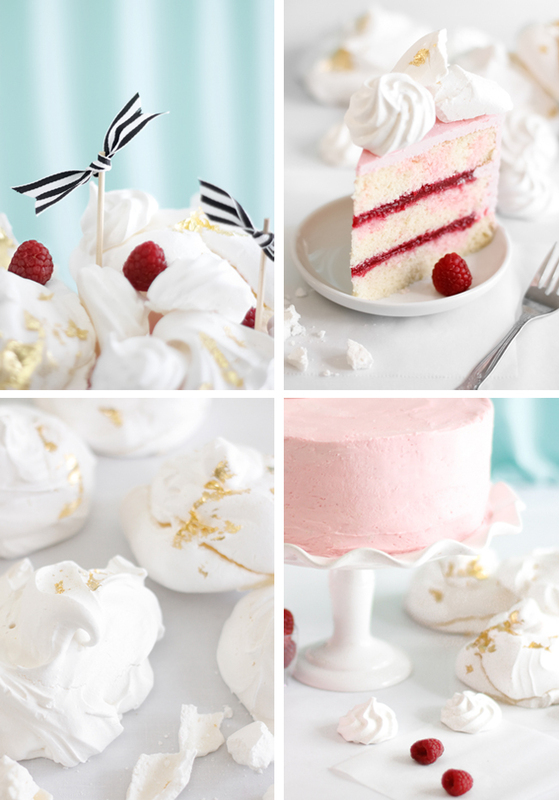 Press gold leaf onto the meringues, if using. Serve immediately, or store them in an airtight container for up to three days. Your cakes never fail to amaze me - this looks incredible! Heather! This is absolutely divine! I've never baked with hints of rose before, but I'm dying to now. Raspberries are my absolute favorite during this season. It's much more romantic than strawberry :) You're so right about the meringues. They belong on top of this gorgeous cake! You have such creative genius, Heather. 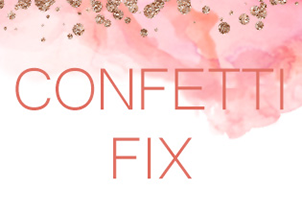 That pink color with the fluffy gilded meringues—swoon! So pretty and tempting. A heavenly cake. 170F - thank you! Corrected in the recipe. This cake is beautiful! I love the touch of the gold leaf. Just curious, why the shortening in the cake instead of butter or oil? The small amount of shortening in the cake adds moisture - much in the same way oil does. The reason why shortening is preferred here, is because it is a solid fat and creams well with the butter in the recipe. This makes for more even distribution of the fat throughout the cake, and gives it a consistent texture and rise. You could substitute 1/4 cup of butter for the shortening if you prefer, but it may not be as moist. You could also use 1/4 cup vegetable oil - it would be moist, but the baked cake would not be as tall. To the person who was asking about the cupcake - I accidentally deleted your comment! SO sorry! To answer the question - I think this batter would make lovely cupcakes. I'd love to try it myself. Looks gorgeous. I love raspberrys! What a beauty. Looks really impressive. From the scale in the photos I thought the cake might be 6" in diameter. Did you really use 9" pans? I'm going to try to make this one. Thanks so much for the inspiration and the recipe! Rose water seems to be popular at the moment. I need to use it in my baking, just to see what it's all about! This cake also looks gorgeous!! I love your cakes and bakes!! You've got to try chocolate raspberry ganache. You need a vitamix or similarly powerful blender to do it. Weigh out 8 ounces of raspberries and puree them until totally smooth. Add 16 ounces of chopped dark chocolate and blend until it flows smoothly, using the tamper as needed. Pour into a bowl, cover, and let stand until thickened to frosting consistency. I've done it with strawberries and milk chocolate too. It's incredible! Simply stunning. Raspberry is such a great fruit for cutting through the sweetness of all that cream. Plus it works beautifully for valentines. This just may be the cutest cake I have ever seen! It's (almost) too pretty to eat! This is so lovely. 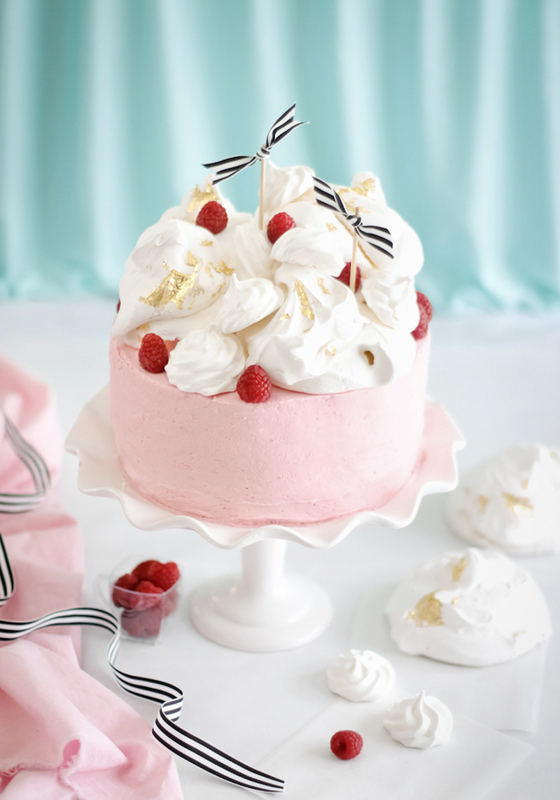 I love the slightly unorthodox way the meringues are piled high on top and the gold just really make this beautiful cake shine! This is definetly the most goodlooking cake i ever seen! This made me smile- the inside of that cake looks just like my wedding cake. Stunning at usual. 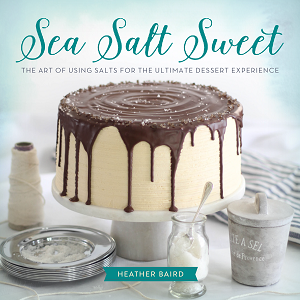 Heather- I just wanted to drop by to congratulate you for being named on of Better Homes and Gardens' Top Ten Baking Blogs. So well-deserved... I have been following you for years and your creations are always so breathtaking and inspiring! This cake is no exception. I love the combination of raspberries and rosewater- definitely a favorite of mine! How many servings are in this 9 inch cake? I want to make it for my sister's baby shower. Looks tasty. This cake serves 10 people, generously. Does the vanilla go in after the eggs? The recipe calls for it but the method doesn't mention adding vanilla. So sorry for the omission! I have corrected the recipe. You may add it with the eggs, or do as I do and add it after the flour and milk additions. It doesn't make a huge difference, just as long as the entire batch of batter is flavored with vanilla extract before it is divided. Thank you bunches for the heads up! Hi Heather! I made this cake and it is as delicious as it is beautiful! (no surprise, really!) I have 2 questions. My cake did not seem so white, white as yours. Do you think this is due to your preffered brand of White Lily flour? I generally use unbleached all purpose. Secondly, for any cake/cupcake baking, at what time would you rotate your cake pans to ensure even baking? Thank you! First of all, thank you for trying the recipe! I'm so happy you liked it. I'm almost positive that's why my cake was paler in color - White Lily flour is bleached. When I rotate pans, it's usually when the cakes are about 2/3 done. A good visual is a crown on the cake (domed top) that's slightly underdone in the middle. You can almost see a little jiggle underneath the surface when you move the cake. That said, there are a few types of cakes that I never rotate, like chocolate cakes with thin batter that are prone to sink in the middle if jarred. Where did you get that beautiful cake stand? Hehe! Love those "gentle giant" meringues! Gosh meringues are SO dreamy and I love them so much right now... so crispy and sweet and airy to eat too... this cake is INSANELY cute. I made cupcakes out of these. I injected them with the raspberry filling. I overworked the batter a little too much so they were denser than I'd have liked, and they turned very brown, but they were really tasty. 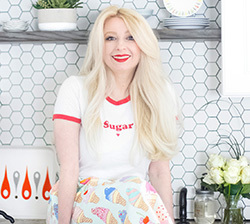 Your blog is an inspiration, I've started learning so much about baking. Thank you! I bet you could add a very thin layer of lemon curd. I make a sugar sandwich cookie with lemon curd and black raspberry. Could you substitute cake flour for the all purpose? Hi Karen -yes! You can absolutely sub cake flour for all-purpose. Thanks for asking! Hi Heather, what a beautiful cake! I want to have a go at making it in 6 x 8" pans and 4 x 6" pans to get a two-teir double barrel. I'm not an experienced baker (so it's a bit ambitious, I know!) and I have no idea how to change the batter and the frosting quantities to the right amount. Can you point me in the right direction, please? Hi Heather, this cake looks beautiful! I plan to make it this week for a small birthday gathering. I'm planning on making half the batter and using 6" pans instead of 9". Can you give me an idea how long I should bake them for? Also, can I cut the frosting amount in half or would I need more than half? Thanks! Hi! I'd check the pans at 15 minutes to gauge the cake's doneness. My instinct says about 17 minutes. I like to have extra frosting just in case something happens - mostly because I am paranoid and also because I sometimes stick my thumb in the frosting by accident. Extra frosting is like cake insurance (haha!) So, maybe plan on making 3/4 batch if you feel the same way. I hope you and your guests enjoy the cake! 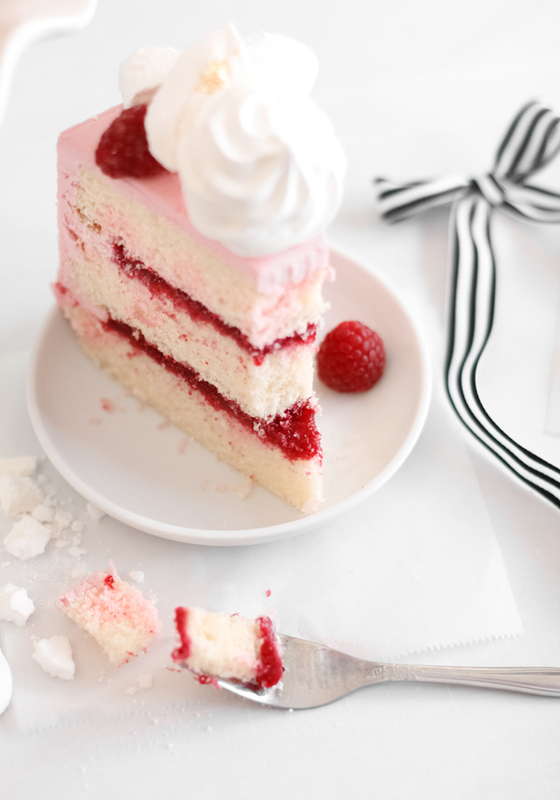 This is a perfect layer cake! I made it for a friend's birthday (without meringues). Very easy to understand the directions, to assemble, and the flavors are great. He loved it!